Sands Cove, or more correctly Sandscove, is listed as number 5 in their list of secret beaches. 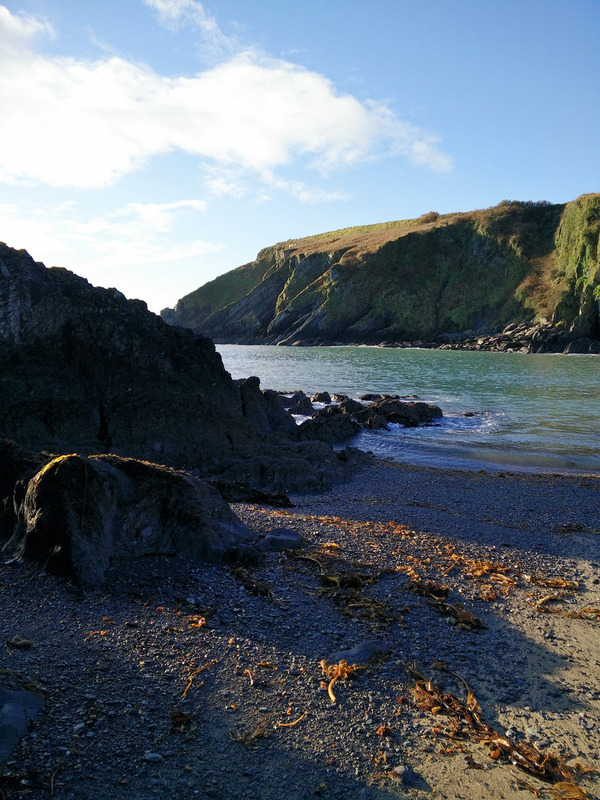 It is our local beach, just a few minutes’ walk down the laneway from Ballynoe House. In Summer, the narrow lane is bedecked with wildflower. The final approach is lined with yellow-orange montbretia in later Summer months. The undisturbed darker areas of woodland nearer the beach, full of ferns and fallen logs, have a primaeval look about them. The beach is well appreciated by locals since the lack of parking ensures the beach is not overrun, and only accessible to those who are prepared to walk down the laneway to get there. The turning towards Sandscove on the coast road is usually bypassed by those heading to another of our popular local beaches, Red Strand. 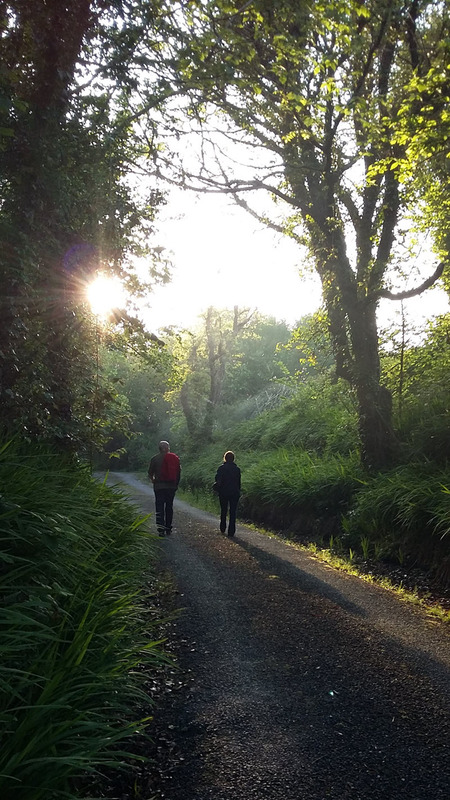 Sandscove also provides an ideal local amenity for a gentle stroll at sun up or sunset. 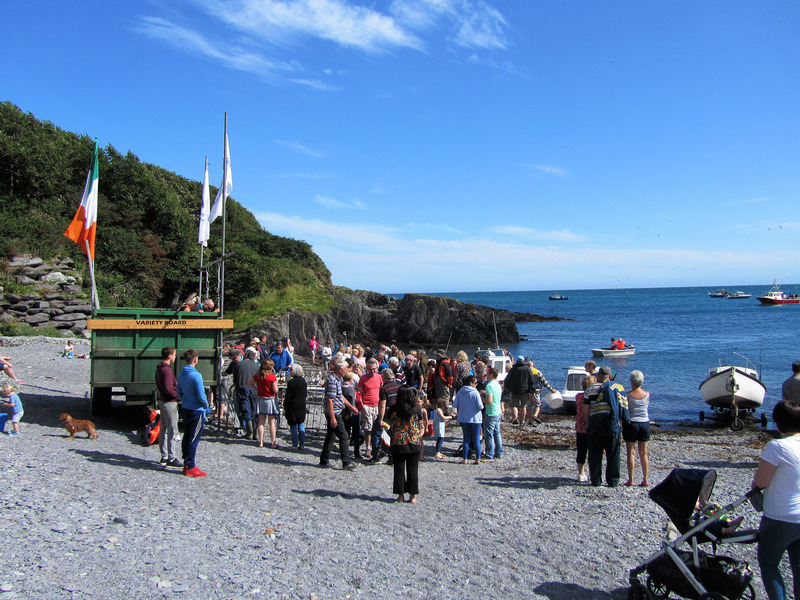 Seals, dolphins and a basking shark have all been observed in the cove in recent years. Sandscove – “As with all the best small beaches, simple pleasures will while the hours away.” Guests at Ballynoe House can look forward to having this little gem on the doorstep. 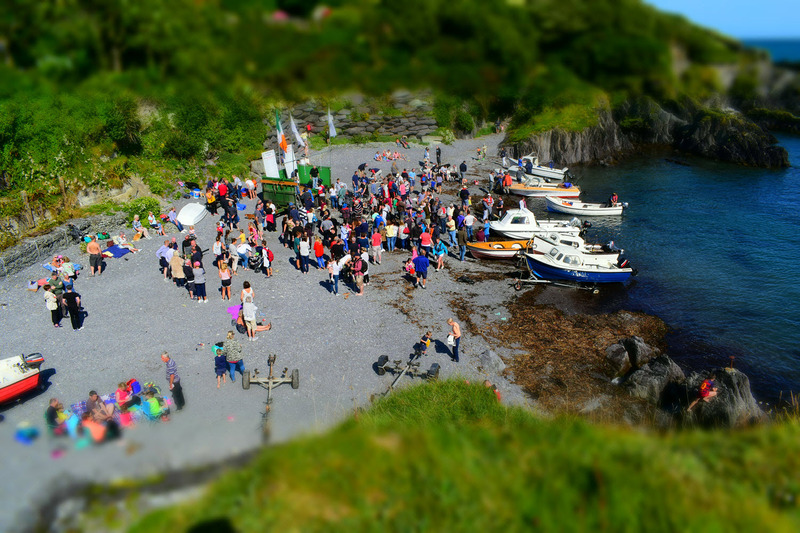 Each year, Sandscove is busiest on the Saturday of the August Bank Holiday weekend for the Sandscove Fishing Competition; part of the local Ardfield Summer Festival.